The Australian Government’s asylum-seeker policy has gone from harsh to incomprehensible. If the center left Labor Party adopted the center right Liberal policy of offshore detention, where will policy turn if the Liberal Party wins the upcoming election? Last month on this blog I questioned Australia’s regional processing and detention center on the small island republic of Nauru; the center has caused political upheaval in a historically tumultuous political environment. This post examines the ‘no advantage’ policy and Australia’s scare tactics to avoid dealing with genuine asylum seekers. The current asylum-seeker policy of the Gillard Labor Government is composed of recommendations from an expert panel initiated last year. The main recommendation instituted was a ‘no advantage’ policy to deter immigration. The policy provides no advantage for asylum-seekers attempting irregular entry into the country versus those who file an application for asylum in advance. Along with the reinstatement of the Pacific Solution this has led to arbitrary detentions in offshore processing sites with little impact on the number of migrants risking their lives since last August. As a result, the Australian government embarked on an audacious advertising campaign targeting potential refugees, most recently in Afghanistan. However, stemming people-smuggling and preventing irregular migration will not be solved by unilateral actions; Australia’s policies are worsening the plight of asylum-seekers, causing problems for its Pacific Island neighbors, and prohibiting meaningful discussion about why people are moving. The ‘no advantage’ policy has led tens of thousands of asylum-seekers to be detained with no way to provide for their families and no hope of their claim for asylum to be met. According to the policy, “There is no advantage or benefit and, indeed, there is no guarantee people who arrive by boat will ever come to Australia.” If caught in and around Australia’s territorial waters, asylum-seekers will be sent to Manus Island, Nauru or Australia’s Christmas Island. Just in time for World Refugee Day on June 20, there were signs that Australia would no longer send women and children to Manus Island for processing. Seventy asylum-seekers originally sent to Manus Island will be sent to Christmas Island, along with 40 family members. However, rather than promote a new, more humane policy shift, a spokesman for the immigration minister’s office said “There is no shift in government policy; families remain liable for transfer for regional processing.” This particular action of moving families is likely due to the recent international criticisms of Australia’s tactics and reports that the number of children in detention camps is at its highest level. The conditions within detention centers, including the slow pace of (and at times nonexistent) processing, are unfair, unnecessary and exactly what the Australian government wants. In May, the Australian television program SBS Dateline aired an investigation into the center at Manus Island. Journalist Mark Davis confirmed the rumor that because asylum-seekers fear they will be detained forever without the ability to pay debts, provide for their families, or escape the mental torture within the center, they have no hope. Asylum-seekers soon become detainees, and many are continuing to harm themselves and in some cases attempt to commit suicide. To further strengthen the crude policy, the Australian government maintains targeted advertising in the countries that asylum-seekers are desperately fleeing. Recently, the government spent over $555,000 on more television and radio advertisements in Afghanistan. The advertisements focus on the financial and psychological pain of Afghanis whose relatives were caught during their journey and sent to Manus Island. As part of the International Security Assistance Force, Australia has 1,039 of its own troops in Afghanistan. It seems incomprehensible for Australia to be part of a coalition occupying a country and simultaneously advertising warnings to its people that if they attempt to flee to Australia they will likely die or be imprisoned. This discrimination against Afghan refugees is not new, however. 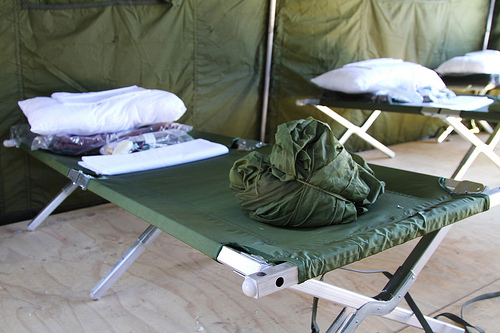 In 2010, Australia implemented a processing freeze on asylum-seekers from Afghanistan and Sri Lanka, claiming that conditions were adequate in their own countries. The advertisements aimed at individuals and families in developing, war-torn countries accurately reflects the dire situation that refugees will face if they try to seek asylum in Australia via boat; reinforcing an image of the unjust process, though, is not only failing to achieve results but should be a source of embarrassment for Australia. The government of Afghanistan meanwhile claimed it was not consulted about the content of Australia’s anti-asylum-seeker advertisements. An Afghan official stated that “People will look at this ad and say this man failed, but won’t necessarily think it will happen to them.” The advertisements show a lack of engagement with Afghan communities and a lack of regard for issues faced at home by potential asylum-seekers (including those Australia’s role in the occupation of Afghanistan). If both governments were involved, the deterrence advertising could have greater legitimacy, showing the issues of asylum-seekers are serious for both governments. Instead, Australia is working almost unilaterally to deter what government officials and media have repeatedly called ‘illegals’ and ‘boat people’. Dr. Khalid Koser predicts that the security situation in Afghanistan will deteriorate in the next two years, leading to inevitably more asylum-seekers heading to Australia by boat. Thus the ‘no advantage’ policy and even opposition leader Tony Abbott’s idea of towing boats back toward Indonesia will be unlikely to stem the flow of asylum-seekers fleeing Afghanistan. Rather, the goals should be to secure Afghanistan, support internal processes such as elections, and encourage international mechanisms for processing and taking care of asylum-seekers before they reach perilous boats. The severe problems in Afghanistan are, however, not the only issues leading to an increase in people seeking asylum in Australia. Over the last few years, there has been a spike in asylum-seekers traveling via boat to Australia. Already this year from January to mid-May, almost 9,000 asylum seekers arrived by boat. Different world events including the global financial crisis, civil wars and other ‘push factors’ led to this increase. In June 2013 alone, at least 55 asylum seekers have drowned with dozens of additional people lost at sea while headed to Australia. The lack of media access to the detention centers in Nauru and Manus Island prohibits discussions about why people are traveling to Australia as well as the conditions they face upon arrival. As the statistics and harrowing stories show, people continue to flee violence and discrimination in Afghanistan, Pakistan and remain undeterred from either the hazardous journey or arbitrary detention. The Labor government did not anticipate the record number of arrivals this year and underestimated the cost of maintaining detention centers. This lack of planning led to a budget increase for asylum-seekers but at the expense of other programs within the overseas development aid budget. Arbitrary detention places a financial burden on the Australian taxpayer in addition to the financial and psychological pressure on asylum-seekers (including women and children). Unfortunately the current policy has found support among the Australian public. Prior to the Labor Governments’ reinstitution of the Pacific Plan, in July 2012 Essential Research asked “Do you think the Federal Labor Government is too tough or too soft on asylum-seekers or is it taking the right approach?” Respondents indicated the following: 12% answered ‘too tough’, 11% ‘right approach’, while 60% indicated ‘too soft’. Also prior to the policy change, a United Nations Refugee Agency survey asked Australians if boat arrivals make them “more or less sympathetic” towards asylum-seekers; “32% responded ‘much less sympathetic’, only 8% ‘much more sympathetic.’” Finally, an Essential Research poll asked Australians in August 2012 if they supported the reinstitution of offshore asylum-seeker processing in PNG and Nauru; 67% supported, and 18% opposed. While much of the world is facing a prolonged recession, Australia’s economic boom has not made Australians more amenable to asylum-seekers and new immigrants. Rather, Australians have become more guarded. On Manus Island in Papua New Guinea and on Nauru, the national governments are trying to honor commitments they made to Australia in their management of offshore processing and detention centers. At the same time, in facilitating the ‘no advantage’ policy, the states are conflicted in their desire to ensure asylum-seekers are protected and treated adequately. Prime Minister O’Neill of PNG has stated that he wants the asylum-seekers on Manus Island to be able to help the community, work, have a normal sense of life” and be able to move around the country. On several occasions Prime Minister O’Neill claims he has promoted this idea to Australia; ultimately, it is up to Australia how asylum-seekers are managed and cared for on the offshore centers, despite how often the Australian officials claim it is up to the local governments. Rather than deterring irregular maritime migration to Australia, the ‘no advantage’ policy has put unfair pressure on Nauru and Papua New Guinea and promotes unreasonable treatment of asylum-seekers. As an international process and with scrutiny from the United Nations, Australia’s offshore processing and detention centers should be accessible to journalists who have already helped identify areas where bilateral and international dialogue is lacking. Since the global financial crisis in 2008 and due to increasing violence in the Middle East and parts of Southeast Asia, a record number of asylum-seekers continue to travel via boat toward Australia. Too many continue to drown along the way. For domestic political reasons, there is an overemphasis on the seizure and detention of people in the Asia-Pacific, with not enough regional discussion on push factors or truly regional solutions. Instead of removing protections and supporting arbitrary detention to punish them, Australia should focus on helping to protect vulnerable groups before they are forced to make the journey. Is the Pacific Solution Australia’s Guantanamo? With a population of less than 10,000 people and an unemployment rate near 90%, one can assume that Australia’s immigration nightmare of ‘boat people’ and revival of the Pacific Solution has come to Nauru’s rescue, giving the small island nation new life with an economic stimulus. On the contrary, Australia’s attention to Nauru and the re-installment of offshore asylum-seeker processing and detention centers is exploiting the country’s political and economic instability. Once a policy of the right-wing Howard Government, the Pacific Solution has become nonpartisan among the major parties in Australia, with opposition only remaining among a handful in Labor and minor parties such as the Green Party. Deaths of asylum-seekers by sinking ships, the ever-persistent people-smuggling business with war-torn clients and anti-immigrant sentiments among the Australian public have driven the government to an extreme policy measure that was intended to be temporary. The Pacific Solution creates a legal gray zone in which asylum-seekers are currently deprived of recourse to Australian law and can be detained for upwards of five years. Rather than following recommendations from the United Nations to only utilize offshore facilities as a temporary measure, the Labor Government is establishing new, dangerous precedents by setting its policy of exploitation literally in concrete by building housing to hold upwards of 1,500 asylum-seekers on Nauru alone. The Supreme Court of Nauru has perhaps been the country’s saving grace, with the President and asylum-seekers both turning to the court to solve their problems. Offshore-processing centers for asylum-seekers were part of the Pacific Solution instituted by the Liberal-National Coalition Government led by Prime Minister John Howard beginning in 2001. This policy was once strongly opposed by Australian Labor Party leaders who rejected the idea that offshore centers, and Nauru in particular, could “stop the people-smugglers’ business model.” In February 2008, the last refugees detained in Nauru under Howard’s plan were sent to Australia and the center closed; at the time, the Labor Government under Prime Minister Kevin Rudd called the Pacific Solution “a cynical, costly and ultimately unsuccessful exercise introduced on the eve of a Federal election by the Howard Government.” What has changed the situation so that Labor now is unafraid of using Nauru as an offshore-processing and detention center? One concern voiced by Labor was that Nauru had not acceded to the 1951 UN convention related to refugees and its 1967 protocols. Once Nauru took steps to become party to the convention, the opposition told current Prime Minister Julia Gillard to “swallow her pride” and “pick up the phone to Nauru” instead of making a deal with Malaysia (a state that had also not acceded to the convention). The ‘Malaysia Solution’ and ‘East Timor Vacation’ are additional stories in themselves – and unlike Nauru those governments were more difficult to sway. While trying to craft Labor’s version of the Pacific Solution in 2010, Gillard advocated for using East Timor as an offshore-processing center for asylum-seekers. However, the government of East Timor eventually opposed the plan and passed a unanimous resolution rejecting the proposal. East Timor Member of Parliament Jose Teixeira illustrated the difficulties with using Pacific Island nations as Australia’s own penal colonies. Teixeira said “it’s an unfair burden to put on us as an emerging society, post-conflict, as a society that has a number of social and economic pressures on it. It’s unfair to put that additional pressure” on East Timor. The same can be said for Nauru, a small island country that has experienced political turmoil over the last two decades. Political power struggles have not been overly violent or utilized a coup d’état, in part because Australia is responsible for Nauru’s defense (meaning Nauru does not maintain defense forces). Nauru’s political troubles have continued this year. Parliament has not held a regular meeting since early February due to the resignation of two cabinet ministers that caused the government to lose its majority. President Sprent Dabwido attempted for weeks to dissolve Parliament, but Speaker Godfrey Thoma and the lack of quorum in Parliament stood in his way. In addition to defense protection, Australia provides development aid to Nauru budgeted at AUD$31.8 million for 2012/13. Opponents of the offshore center argue that at a time of shrinking government budgets, Australia cannot afford to dump funds into these new ‘development projects’ where taxpayer return will be minimal. Over the past four years, “Effective Governance” has been a top goal of development funding and currently around 60% of the total budget . While I do not doubt the overall transparency of AusAID and the commitment of development practitioners, the historically higher level of funding to governance compared to “Sustainable Economic Development” and “Promoting Opportunities for All” are a pathway for the Australian government to have demonstrable influence over Nauru’s political process; this influence allowed for the reopening of offshore-processing center and creation of a permanent mass detention center complex that has impacted the country’s political and economic outlook. Other changes on the horizon may soon be driven by the Supreme Court in Nauru. The Supreme Court will decide both the political fate of Nauru’s government as well as the fate of asylum-seekers. With many resignations, votes of no confidence and changes of administration over the last two decades, Nauru is lucky to have a functioning Supreme Court that can help facilitate the country’s constitution. To be able to dissolve Parliament and have fresh elections, President Dabwido is considering taking legal action through the Supreme Court; this application to the Supreme Court is likely to take place over the next week. As recently as May 3, Parliament failed to reach a quorum for the fourth consecutive time, continuing to give the president reason to utilize the Supreme Court. A landmark Supreme Court case involving asylum-seekers set for June includes an application of habeas corpus. Australian barrister Jay Williams and retired US Marine Corps lawyer Michael Mori are part of a “legal dream team formed to challenge the legality of the Nauru detention center.” Mori formerly represented Australian Guantanamo Bay detainee David Hicks. The team of lawyers are representing the ten detained asylum-seekers facing charges of rioting and willful damage. Williams has been facing a challenge of his own – lack of access to the defendants to prepare an adequate case – which is an infringement of the defendants’ constitutional rights. As a constitutional challenge this ruling could have strong repercussions for Australia’s offshore-processing and detention center. While considering the damage that these events are doing to Australia’s regional and international image, the Labor government is pressing onward with development of the offshore-processing and detention center in Nauru. Currently there are more than four hundred asylum-seekers on Nauru, who have now been moved into part of the permanent detention center facilities. 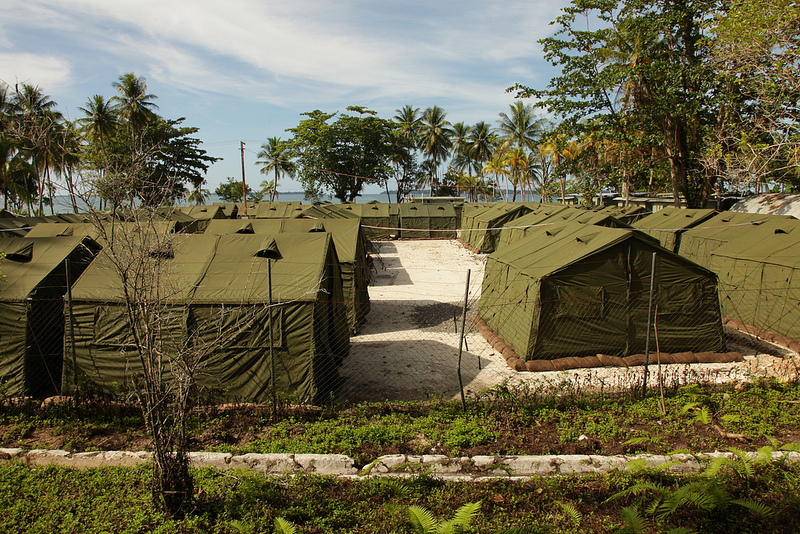 One journalist describes the new facilities in Nauru: “unlike the flimsy weatherboard huts used in the first iteration of the Pacific Solution under the Howard government, the new buildings are built to last.” To accommodate 1,500 detainees in a detention camp, there will be a total of ten accommodation blocks costing the Australian government more than AUD$70 million to construct. According to a report, the “initial stage of the project is a twin-storey accommodation centre of about 1000sq m, containing 44 rooms grouped in three pods, connected by covered breezeways. For now, asylum-seekers will sleep two to a room of 4m x 3.5m.” These new facilities were likely built in response to criticism from the international community and nongovernmental organizations about poor conditions being faced by refugees as well as the impact on local communities. In December 2012, observers from the United Nations High Commissioner for Refugees (UNHCR) released a scathing report on the facilities and processing operations at Nauru. UNHCR representatives expressed the “need for more information and clarity for asylum-seekers about their situation, and counseling on the procedures and time frames of various steps in line with international standards.” The report also stressed that asylum-seekers should be supplied with “adequate conditions of accommodation, and the legal framework, rules and procedures for processing of transferred asylum-seekers in Nauru should be completed as a matter of urgency.” Having risked their lives on a treacherous journey by boat, asylum-seekers being sent to Nauru and Manus Island detention centers are particularly vulnerable. While they are not being placed in a war zone in Nauru, Australia should not send asylum-seekers, especially when they may have mental, physical and economic problems, into a detention center for an undetermined period without adequate legal and medical provisions. Despite Australia’s move to improve facilities on Nauru, the most glaring problem remains; asylum seekers will be held in a legal gray zone outside of Australia’s borders and outside of the protections of Australian law. Further, off-shoring asylum-seeker processing serves to restrict journalistic access and the flow of public information to the public. These issues are the crux of the UNHCR insistence that “all asylum-seekers arriving by boat into Australian territory [should] be processed in Australia, consistent with general practice.”Add to this Australia’s dubious political and economic pressures and incentives that the government is applying liberally in order to secure the island as their national penal colony. Australia has the option to use its economic and strategic clout in the Pacific in order to benefit the region and promote humanitarian aims. Taking advantage of the economic woes and political instability in Nauru through the perpetuation and expansion of the Pacific Solution is undermining Australia’s standing among its Pacific island neighbors and in the international community. Pacific Island Countries are simultaneously at the frontlines of feeling the effects of climate change and creating solutions. Development projects and political commitments in the South Pacific are setting precedents and shifting the global perspective of sustainable energy. The 2013 Pacific Energy Summit in Auckland, New Zealand March 24-26 closed with strong results that will continue to drive investment in sustainable development projects. New funding of $635 million was secured for projects throughout the Pacific. Similar to Pacific Island Forum meetings, the Summit was preceded by a Pacific Leaders Energy Summit in Nuku’alofa, Tonga that also served as a launching pad for new ideas and to assess existing projects. Organized by the Government of New Zealand and the European Union – major funders of development projects and tied to the region economically – the Pacific Energy Summit is another positive example of multilateral cooperation in the Asia-Pacific. Close to 80 projects were presented at the Summit, enabling donors and the private sector to partner on projects of mutual benefit. Additional sponsors included the Australian Agency for International Development (AusAID), Asia Development Bank and The World Bank. More than half of the $635 million secured will be “in concessional loans to support over 40 of the proposed projects”($380 million), and only $255 million committed will be grant funding. UNDP Administrator Helen Clark recently stated that the potential for renewable energy – harnessing wind, sun and tidal opportunities – was the most promising area for development in the Pacific; a significant challenge Clark pointed out, however, is the “tyranny of distance.” Therefore it is critical that Pacific Island Countries remain united in their mutual economic, political and energy goals for the Pacific as the Pacific Island Forum continues to garner additional international observers and the Pacific Plan is reviewed this year. The recent Summit’s new funding will enable most Pacific Island Countries to reach a target of obtaining 50% of their energy from renewables within five years; several states are already leading the way. The Tonga Energy Road Map (TERM) was a highlight of the Leaders Summit as a model for a “well-designed and integrated country action” plan. The TERM drew an additional $6.5 million in funding from the European Union over the next three months. Last October, Tokelau became the first nation relying totally on renewable energy, in their case solar energy. Figueres and others have called for Pacific nations to be the catalyst that the international community needs to act on real, workable climate change rules and frameworks. Countries in the Pacific will not be able to “reverse global emission trends,” but they can signal to governments and markets alike that the path toward a green, low carbon economy is irreversible and “the new development norm.” Other small island country leaders such as President of Kiribati Anote Tong and former president Mohamed Nasheed of the Maldives have played significant advocacy roles within the international community to promote the plight of small states among Climate Change difficulties. Steadily the tide is turning in favor of Pacific development projects, but it may take a continued, concerted effort by a resolute Pacific Island Forum and group of small island leaders to maintain this momentum and convince larger states to change their habits and transition to green economies. Was Figueres too bold in her call to action? Are Pacific Island Countries making national plans and setting energy targets that are too ambitious? As Matthew Dornan writes for East Asia Forum, small island nations in the Pacific cannot raise funds necessary for these projects internally; therefore, they must turn to international development grants and soft loans as obtained at the Summit. Ambitious targets indicate to potential funders that a country is more serious about the long-term implications of projects and so the probability is higher that the country will receive more investment. Realistic or not, these targets are a step in the right direction if they are produced from cohesive national and regional plans that seek to consider individual stakeholders. The Pacific has been a place for inspiration for internationally acclaimed authors and artists such as Paul Gaguin to Herman Melville and Robert Louis Stevenson since the 1800s. While states work to keep their beaches pristine, oceans full of fish and water supplies sufficient, the sustainable energy projects and forums continue to inspire enthusiasts of renewables and international collaboration alike. Renewable energy benefits the environment, local residents and businesses; however, a one-size-fits-all approach to mitigating climate change, like energy projects in other parts of the world, will not work for the Pacific. To help maintain momentum for the new ‘development norm’ in the Pacific and elsewhere, there is a distinct need to improve media coverage of the challenges and opportunities brought on by Climate Change in the Pacific. The new Carnegie program Ocean Matters is one initiative that helps to bring environmental journalism to the forefront. Too much of the hype surrounding the 43rd Pacific Islands Forum meetings in Rarotonga, Cook Islands has focused on the prospective visit by US Secretary of State Hillary Clinton and the struggle for influence between the US and China in the South Pacific region. The theme for this Leader’s Forum, Large Ocean Island States – the Pacific Challenge, deserves far more attention as Pacific Island nations work on creating and maintaining a sustainable Pacific environment. The Forum Island Countries (FICs) are at the forefront of not only the effects of climate change, but also the solutions and coping mechanisms. Therefore the agreements forged during this week’s meetings will be a critical test of the region’s resolve to continue the momentum of achievements and to serve as an example for future regional collaboration in other parts of the world. Climate change has been central to the Pacific Islands Forum agendas in recent years. In 2009 the Leaders launched a Call to Action, stating “For Pacific Island states, climate change is the great challenge of our time. It threatens not only our livelihoods and living standards, but the very viability of some of our communities. Though the role of Pacific Island States in the causes of climate change is small, the impact on them is great.” Involving both mitigation and adaptation efforts to overcome threats caused by climate change, the Pacific Islands Forum has advocated for international assistance to support the small island states. Launched in May 2009 at the Pacific Island Leaders Meeting (PALM) in Japan, the Pacific Environment Community Fund has proved to be a successful catalyst to facilitate sustainable development and to combat the negative effects of climate change in the region. At the launch, Japan provided a ¥6.8billion (approximately USD$66 million) contribution to Forum Island Countries for environmental issues. According to the program, “each FIC is provided with an indicative allocation of USD$4million to support projects with a focus on the provision of solar power generation systems and sea water desalination plants or a combination of both.” The governments of Cook Islands, Fiji, Nauru, Samoa, Solomon Islands and Tuvalu have utilized the PEC Fund, with Kiribati and the Federated States of Micronesia still working on agreements for local projects. In the same way that sustainable, equitable trade is a factor in the Pacific Agreement on Closer Economic Relations, New Zealand has emphasized sustainable development and renewable energy in particular as part of its NZ Aid Programme. This was highlighted in last year’s Forum dialogue in Auckland. The NZ government is providing NZ$7 million to Tokelau to install solar power systems which will provide almost 100 percent of the energy needs for the state’s over 1,400 residents. With international assistance, the Cook Islands, Samoa, Tonga, and Tuvalu are all undertaking projects in renewable energy. One of the most ambitious and pioneering plans has been the Pacific Oceanscape, envisioned by His Excellency Anote Tong, President of Kiribati. It is a framework for creating marine protected areas and a mindset “to ensure in perpetuity the health and wellbeing of our oceans and ourselves.” I highly recommend watching the Pacific Oceanscape video. The project has been closely supported by Conservation International, including the FICs’ programs The Phoenix Islands Protected Area, the Micronesia Challenge, and the Cook Islands Marine Park. During this session of the Pacific Islands Forum, the Cook Islands Prime Minister Henry Puna is expected to announce the opening of country’s Marine Park, which includes about half of its exclusive economic zone. In thinking practically and further ahead, the Kiribati government is working on a contingency plan to move its entire population abroad. In March this year, Kiribati President Anote Tong was in talks with the government of Fiji to purchase 5,000 acres of land as an ‘investment’, to provide a new home for its 113,000 residents. Currently, Kiribati is about two meters above sea level. Part of the plan for “migration with dignity” includes educating and training its population so Kiribati residents have skills desired by other Pacific states, including Australia and New Zealand. The Pacific Islands Forum Leaders’ meetings and smaller workshops surrounding the main events are about education and dealing with the challenges and opportunities within the region. While globalization and improved transportation has facilitated the communication and trade levels among Forum states, the effects of climate change, increasing energy costs, overfishing, coral bleaching and geopolitical challenges have appeared to harden the resolve of Forum states. With so many positive sustainable development and energy-related projects lined up (and hopefully more to be announced this week) the outcomes of the 43rd meeting in the Cook Islands should be watched not because the US and China will be battling for their attention, but because these small islands in the Pacific are among the first to ambitiously battle for their own survival in the face of threats to their homes (by rising sea levels) and livelihoods (by overfishing and coral bleaching). Between 31 July and 3 August, the Pacific Islands Forum Secretariat meetings in Fiji set a tone for the forthcoming leaders’ meetings in the Cook Islands at the end of August. Much of the media focus surrounding the Pacific has centered on the US involvement in the dialogue as part of its rebalancing, and to a lesser extent, Australia and New Zealand’s changing relations with Fiji. As the Secretariat meetings have indicated, however, reforming the Pacific Plan to reflect the contemporary political, economic and security conditions in the Pacific will be critical for this year. Issues of labor mobility and trade integration within the Pacific Islands region will be critical to the continued development and success of the Pacific Plan and the Pacific as a whole. A product of the 2004 Auckland Declaration, the Pacific Plan is a ‘living document’ that enables initiatives to adapt with the framework. The Pacific Plan has four pillars aimed at enhancing economic growth, sustainable development, good governance and security of the Pacific through regionalism. Securing actions at the national level has been a paramount concern given the diversity of states and disparity in wealth. One goal in reviewing the current Pacific Plan should be to improve labor mobility in the region. This goal is steadily gaining traction, but policymakers need to take care to avoid some of the negative aspects of temporary migration and to provide more sustainability. The Australian Pacific Seasonal Work Pilot Scheme and New Zealand Recognised Seasonal Employer Scheme have been workable models to increase remittances among the island states. In fact, there are recruiting firms throughout the Pacific that promote workers for both New Zealand and Australian schemes (see, for example, http://www.workreadyvanuatu.com). However, the seasonal worker schemes create multiple dependencies on unskilled labor. Horticulture, viticulture and other industries that have seasonal labor needs are more inclined to take on labor with less ability to make demands for rights and benefits; furthermore, migrant labor provides a pool of labor potentially unavailable or unwilling to do the grunt work required in those industries. Migrants, on the other hand, become dependent on impermanent, unskilled and unpredictable work. While remittances are highly valued as essential Pacific economies, the type of work created for seasonal workers is currently not the most sustainable either in terms of returning home as a skilled migrant or with a secure income. Such an exchange of labor could be expanded to all Forum Island Countries (FICs) in a way that encourages training and the exchange of skills. (See, for example, doctor exchanges between Venezuela and Cuba as a progressive idea; it hasn’t worked well in practice however due to strong ideological fervor among both states). For a more skilled and sustainable Pacific economy, training is needed outside of the temporary program, and protections are needed against exploitation. Migrants and temporary workers are typically the most disadvantaged in in terms of labor rights and the Pacific has the potential to produce a more equitable regional model. Like the issue of labor mobility, creating a common market and pursuing free trade in the Pacific are goals that require careful attention. Both Australian and New Zealand foreign ministries have explicitly stated that their approach to the Pacific Agreement on Closer Economic Relations (PACER) Plus negotiations differs from their traditional approach to free trade agreements; rather than focusing solely on their states’ commercial interests, Australia and New Zealand aim to promote the development and capacity of FICs. The two regional powers additionally must maintain competitiveness with potential trade agreements that FICs make with the European Union. With ever-increasing collusion among trade, development and foreign policies, taking steps toward free trade agreements is a precondition for aid and greater access to NZ and Australian markets. The goal of PACER Plus is to start with free trade within the FICs to demonstrate their abilities to cope with such policies. One problem encountered by the region is that the principles of free trade clash with certain traditional Pacific principles (e.g. property rights). Regionally, community development solutions such as bulk purchasing invite avenues for creativity and take into consideration the nature and interests of Pacific Island states. Globalization and the changing international political landscape are creating an increasingly competitive environment in the Pacific. As the region draws greater attention from China and the US for its geostrategic position and natural resources, the Pacific Islands Forum and its member states should secure a more formidable voice, particularly on issues that impact the region. An effective review and renewal of the Pacific Plan then must include two of the most noteworthy subjects for development, improved labor mobility and closer economic relations. On 23 May 2012, the Embassy of New Zealand in Washington, DC hosted the annual celebration of ideas, food and culture from the Pacific Islands region. Photos of the event can be found on the New Zealand Embassy Facebook page. Pacific Day has typically focused on getting different groups together in celebration of Pacific food and culture. With the US turn to the Pacific and the strengthening of the Pacific Partners Initiative, Pacific Day 2012 had an equal focus on the social, political and economic issues important to the region. The event began with a seminar moderated by Ernie Bower of the Center for Strategic and International Studies that included a keynote address by New Zealand Foreign Minister, Honorable Murray McCully. A panel discussion addressed the impact and concerns of small states, climate and environmental issues, and the role of powers in the Pacific. The reception featured entertainers from Australia, Hawai’i, Fiji, New Zealand and Samoa, as well as food and beverages from Australia, Hawai’i, the Federated States of Micronesia, Fiji, Guam, the Marshall Islands, New Zealand, Palau and Papua New Guinea. The independent nation-states and territories from the South Pacific enjoy their differences but at different times celebrate a shared history and geography. Other than geography, the smaller states of the Pacific face strikingly similar challenges and opportunities, hence it is beneficial for them to collaborate with states such as the US, New Zealand and Australia. For the major powers in the Pacific, the current outlook for the region is one of cooperative engagement and closer dialogue. Australia, New Zealand and the US have all, in one way or another, promoted the “Pacific Century.” As these powers seek to further engage with the Pacific, the Pacific Islands Forum will become more prominent in connecting Pacific states throughout the Asia-Pacific. The Pacific Islands Forum meeting in Auckland in September 2011, was the first time that the three US Pacific territories – Guam, Northern Marianas and American Samoa – were granted observer status. The focus of Pacific Day was not just on the major powers, but on examining the roles of the smaller states and the issues pertinent to the region. In addition to the geopolitical issues that find their way into the news, Pacific nations are collaborating on pressing economic and environmental issues like sustainable fishing. In his keynote address, Hon. Murray McCully proposed that the only fisheries in the world that are not overfished are those in the South Pacific. While China and the Philippines fight over territory and cause international incidences with fishing boats, states in the Pacific are working to connect their fisheries policies. The South Pacific Tuna Treaty is currently being renegotiated. Pacific states are working with Australia, France, New Zealand and the US to stem illegal fishing through Operation RAI BALANG. The Pacific Islands Forum Fisheries Agency continues to work on new and existing issues. The World Wildlife Foundation recently praised the efforts of Parties to the Nauru Agreement with their strengthened fisheries management measures to promote sustainable fishing. Since several Pacific Island states – with Kiribati being a leading example – rely upon the resources caught from their Exclusive Economic Zones, a major concern has been how best to ensure revenues from primary industries are spread amongst states’ residents. While several panelists offered that question, answers as to how profits might “trickle-down” were in short supply. Pacific Island states are also pursuing environmental and energy policies. Kate Brown from the Global Island Partnership gave an example of how Pacific Island states are being creative in their environmental protection policies. 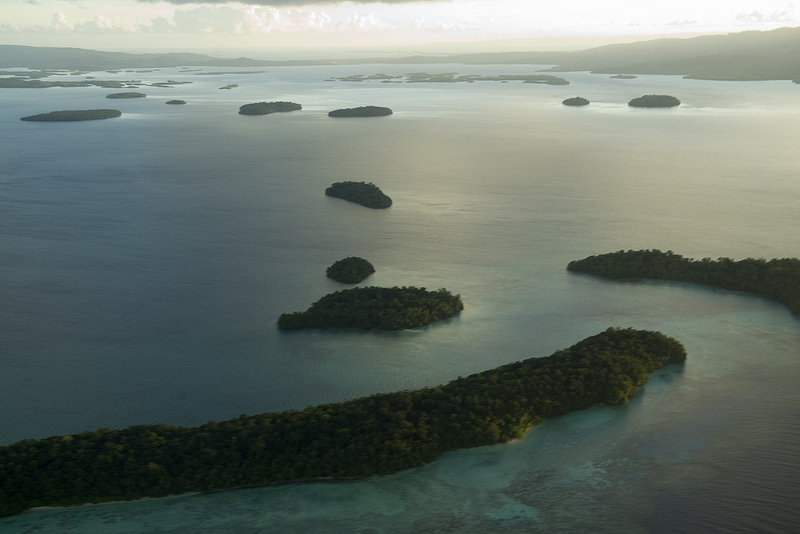 In Palau, a $15.00 “Green Fee” collected upon departure is used to support the country’s natural resource conservation efforts within the Protected Areas Network. The fee was initiated in 2009, and has collected well over 2 million US dollars. In addition to protecting the environment, improvements in sustainable energy and dealing with the effects of a changing climate remain significant. With assistance from others, Tokelau will soon be moving from relying solely upon fossil fuels to relying upon solar power for 90% of its energy. At the UN climate talks in Durban last year, Tokelau challenged other states to follow its lead. Durwood Zaelke of the Institute for Governance and Sustainable Development pointed to other strategies being utilized to mitigate climate change in the Pacific: black carbon is the worst polluter in the Pacific, and innovative methods are being used to capture it; the Climate and Clean Air Coalition to Reduce Short-Lived Climate Pollutants is making headway, and there are hopes it will benefit island states in the Pacific. Very recently, the Secretariat of the Pacific Community signed grant agreements with the Government of Australia to support work in climate change adaptation and educational assessment. As Ms. Brown reiterated, island nations around the world are looking to the examples being set in the Pacific for environmental management as well as effective multilateral collaboration. Pacific nations face a range of security issues from governance to international crime and disaster relief that are best tackled through regional partnerships. As Patrizia Tumbarello from the International Monetary Fund stated, the cost of running a government in the Pacific Island region is higher than in other parts of the world due in part to their small populations. A lack of investment due to transport and infrastructure issues, reliance on diesel energy, and distance from neighbors and larger markets impede economic security and stability. The consistent linking of Pacific Island states to Australia, New Zealand and economies in Asia adds resilience to their economic and social networks. Tackling transnational crime and human trafficking and enhancing information sharing were the goals of US Secretary of Homeland Security Janet Napolitano’s recent trips to New Zealand and Australia; in New Zealand, Secretary Napolitano signed a Joint Statement on Combating Trafficking in Persons in the Pacific Islands Region with Immigration Minister Nathan Guy, and signed a Joint Statement to Strengthen Border Security, Combat Transnational Organized Crime, and Facilitate Legitimate Trade and Travel with Customs Minister Maurice Williamson. In addition, development aid, disease prevention and disaster management go hand in hand with economic and more traditional security issues. Australia provides half of all global Official Development Assistance (ODA) to Papua New Guinea and Pacific island states, representing almost 25 per cent of total Australian ODA; similarly, over half of all New Zealand’s total development aid is provided to its neighbors in the Pacific. Taken holistically, the security of the Pacific island states cannot be guaranteed on their own. As CSIS Non-resident Fellow Eddie Walsh mentioned in his briefing, Pacific states must be part of the greater Asia-Pacific in their economic, security and political networks. The guests in attendance at Pacific Day 2012 – like the nations they represented – had an interest or even a stake in the prosperity of the Pacific. Diplomats, representatives of nonprofits and corporations, scholars, journalists, students and members of the public attended the festive affair focused on celebrating all things Pacific and promoting cooperation amongst neighbors. The nation-states of the Pacific maintain unique economic, political and social structures; yet because of their small size and geographic location they understand the significance of multilateral institutions such as the Pacific Islands Forum and the need to collaborate with Western regional powers Australia, New Zealand and the United States and Asian powers like China. In a recent statement, the Secretary General of the Pacific Islands Forum Secretariat proclaimed that “Pacific countries cannot be left isolated from regional economic integration initiatives in the Asia-Pacific region.” Mutual advances toward sustainable fisheries, development, and economic, human and physical security, may lead to a more prosperous Asia-Pacific region.